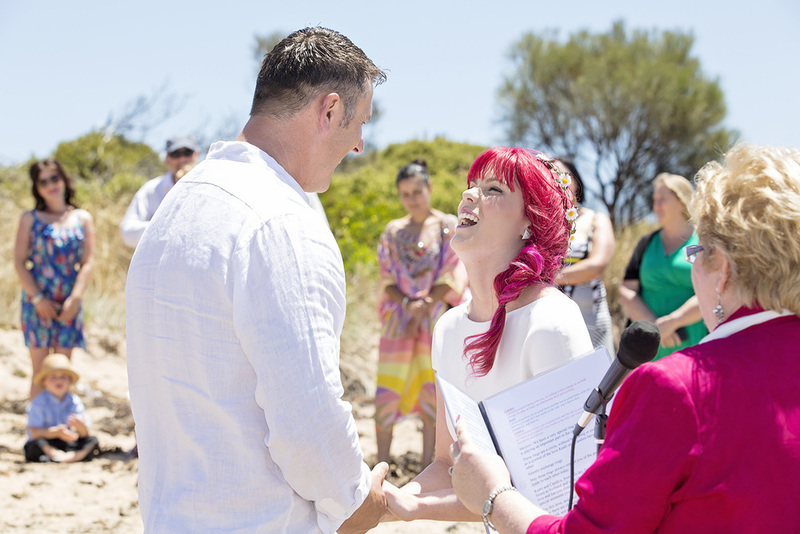 On bright & sunny Saturday, Kadri & Candice got married surrounded by family & friends in Victor Harbour on the beach. 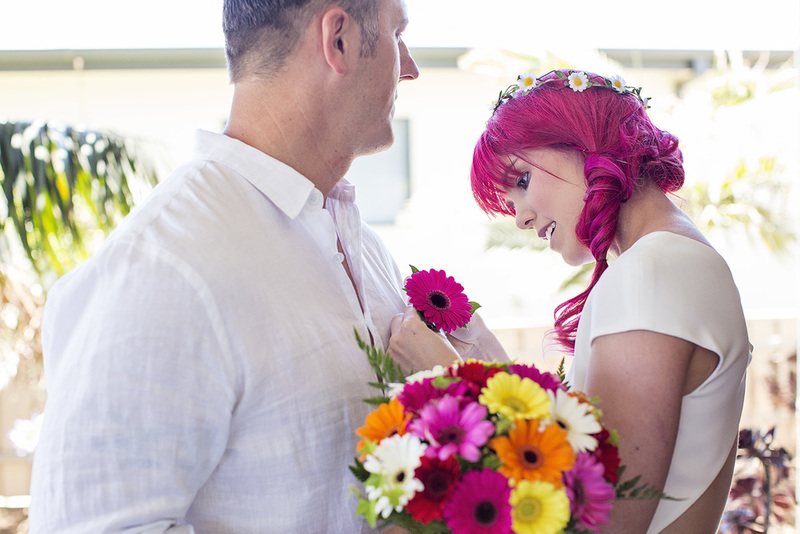 Candice looked amazing with her bright pink hair, colourful bouquet and gorgeous dress, and hubby-to-be Kadri looked absolutely smitten. After a cute little bride reveal, and an introduction to the all important ring bearer, Rox the dog, we headed to Petrel Cove & the Bluff for some pre-ceremony portraits. Both of these locations are favourites of mine! So beautiful and unique, each time I visit they tell a new story as their character can change so dramatically from day-to-day and weather-to-weather. On Saturday they told Kadri & Candice's story beautifully, as the place that Kadri had first proposed. 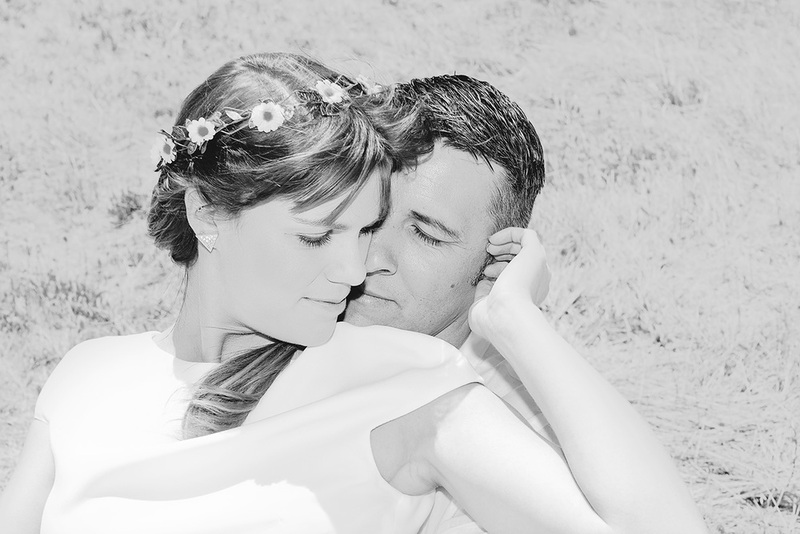 An intimate ceremony at Fisherman's Bay near Basham's beach followed, and Rox performed his role perfectly. Enjoy your little sneak peak guys!